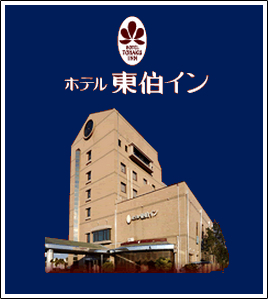 The Hotel Tohaku Inn is located approximately 1 hour by car from both Tottori and Yonago. The hotel serves as astrategically convenient base for exploring the sights of Tottori. of Japan (on the north side) and Mt. Daisen (on the south side). Our moderately sized single and double rooms offer our foreign guests the space to relax and unwind. In the evening, guests can enjoy our à la carte menu, which includes Japanese dishes, at our on-site Japanese “izakaya” bar. We also serve Japanese breakfast at our hotel café. Approximately 5 min by taxi from Urayasu Station on the JR San’in Main Line. Approximatelya 10-min walk from Yabase Station on the JR San’in Main Line. Approximately 30 min by taxi from Kurayoshi Station on the JR San’in Main Line. 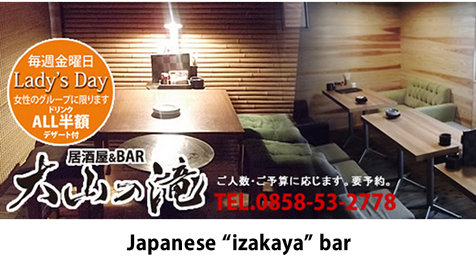 Approximately 3.5 h by car from Osaka.Exit the Chugoku Expressway at Innosho Interchangeand take National Route 179. Approximately2 h by car from Okayama. Exit the Yonago Expressway at YonagoInterchangeand take National Route 9. Approximately 3.5 h by car from Hiroshima. Exit the Yonago Expressway at Yonago Interchangeand take National Route 9. 50 km away from both Tottori and Yonago airports.Approximately 1 h by car. Café, restaurant, banquet halls, conference rooms, wedding hall, no smoking rooms, vending machines (drinks and cigarettes: 1F and 4F), coin-operated laundry (additional cost),dry cleaning service, PCs (note: the hotel does not offer PC rental services), fax service, wake-up calls, andpacket delivery services. Copyright（c） HOTEL TOUHAKU INN All Rights Reserved.